Glendon Mellow is a fine artist + illustrator inspired by evolutionary biology. His oil and digital artwork has ranged from fine art commissions to tattoo design to museum display. His illustrations have appeared in books such as The Field Guide to Jewel Beetles of Northeastern North America, Geology in Art and The Open Laboratory, magazines including Earth and Secular Nation,and sites such as io9.com. He has been an invited speaker at the Association of Medical Illustrators, the Centre for Inquiry, ScienceOnline, and at Ryerson University's Social Media Lab. Last year, he contributed a chapter on effective image use for Science Blogging: The Essential Guide published by Yale University Press. Glendon has a Bachelor of Fine Arts Honours degree from York University in Toronto, Canada, where he lives with his wife Michelle & family. 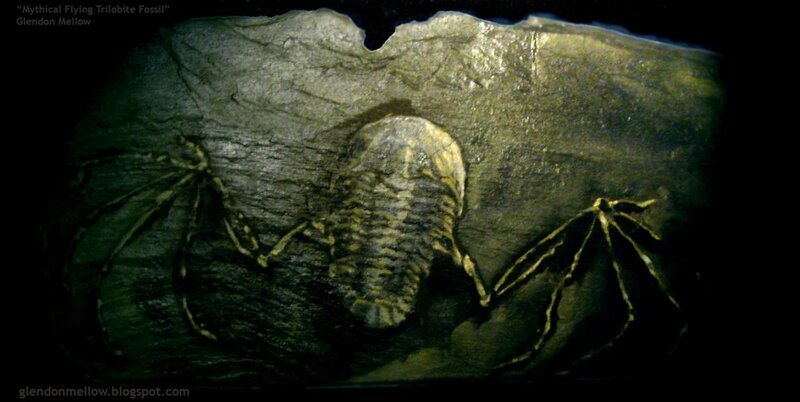 Glendon shares his art process at his blog The Flying Trilobite, and tweets @flyingtrilobite. His work can be found at glendonmellow.com. See more of Glendon Mellow's images on his personal website, Art in Awe of Science.